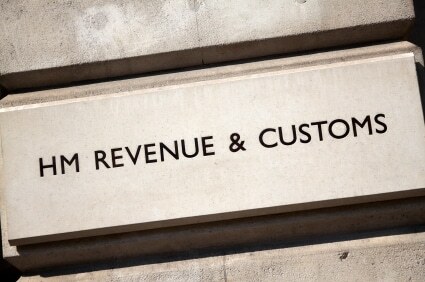 Partnerships are “very much the poor relation” in the way they are handled by HM Revenue & Customs (HMRC) and indeed regarded by government”, a major Treasury review has found. It said HMRC needs to do more to counter the feeling among many partnerships that it sees them, and LLPs in particular, “as if they were exclusively avoidance vehicles”. The review also concluded that the ‘one size fits all’ approach of partnership tax leads to “extra burdens and complexities” for small partnerships in particular. The progress report from the Office of Tax Simplification concluded that overall “partnership tax works, but like a comfortable old shoe it is a little worn at the edges and may have a couple of holes coming through. In many ways there is a need for a variety of types of shoes – both small and large”. The review is running parallel to – and steers away from – the contentious changes being made to the way LLPs are taxed, except to say that its call for the tax system to take a more strategic approach to partnerships would help reassure businesses that HMRC does recognise that the majority are legitimate and do not seek to “manipulate business profits”. The review said tax policy and administrative processes have generally been designed with sole traders and corporations in mind, “with partnerships less obviously being a focus”, despite partnerships making up 10% of UK businesses with combined sales of £150bn. It continued: “Fundamentally, HMRC and the tax system generally needs to evolve a more supportive and constructive approach to partnerships. They represent 10% of UK businesses; the very large partnerships are a major contributor to UK business and export earnings. Yet they are very much the poor relation in the way they are handled by HMRC and indeed regarded by government. “Partnerships have no ability to retain profits as working capital (unless of course the partners agree not to distribute a proportion of the profits which they will nonetheless have to pay tax on); non-corporate partners have not benefitted from the corporation tax rate reductions (partly paid for by cuts in capital allowances that affect partnerships as much as any other business; there are allowances they do not receive. “This is not a plea for an entirely separate tax system and tax management procedures for partnerships. Since the majority of partnerships have similar features to other businesses, many provisions which work for sole traders and companies will work for partnerships. It makes sense for government to focus on provisions which benefit all businesses rather than just 10% – but at the same time, that 10% is a significant enough proportion to warrant consideration as part of any change. The review suggests a range of short-term fixes HMRC could introduce – such as publishing a manual of consolidated guidance for partnerships, free software for small partnerships and clarifying when partnerships are eligible for entrepreneurs’ relief – as well as medium and longer term issues that need to be addressed.